When it comes to these posts I am really nosey and like to see what others got for Christmas. to just add to my wishlist of items I would love to receive. I am the same when it comes to reading what people got for their birthday too. so if you don't than this post isn't for you. that I am not in anyway trying to show off and am thankful for any gifts I receive. You can see my Christmas wish list here and I was lucky enough to get the majority of the items that was on my list which wasn't expected as it was just to give people ideas. Anyone that knows me well enough knows that I love to read. - Dinah Jefferies - The tea planters wife. as I've not read either of these books before and they are right up my street. awhile ago. This was before I got a personalized utensil pot from getting personal last year. So we are going to use it for something else possibly to store pens in or something or other. Either way its going to come in handy. My sister got me the make up brushes that I had been wanting for quite awhile now. I got both the Real Techniques Core Collection and the Real Techniques Eye Makeup Brush Starter Set. I've been getting into make up a lot more recently so having some good brushes is a must. My sister also got me a book which was on my amazon wishlist. I have been getting into thrillers and crime novels recently and this one looks good. I want a bit of sparkle or for a special occasion. Stuart also got me that Kilner glass that I really wanted from Wilko. They do them in pink and blue and I got the blue one that I wanted. I love drinking my Dr pepper in there and also lemonade. just fell in love with. I am thrilled with it and so far its keeping me organised. 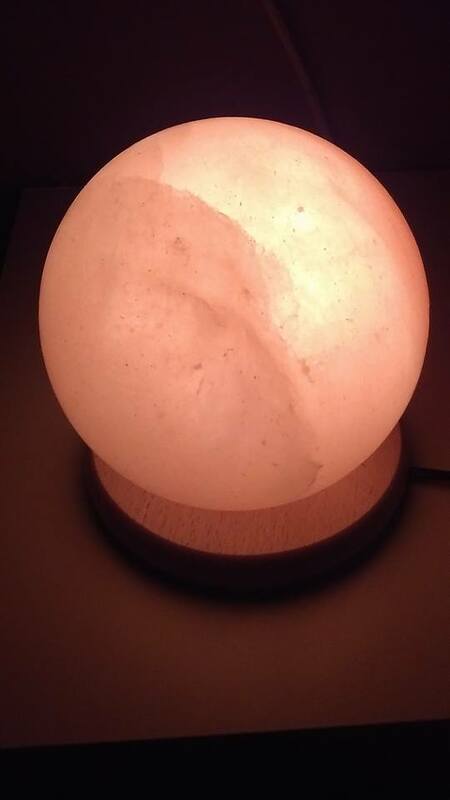 Then I got a Himalayan Salt lamp. not just for the health benefits but also as its so pretty too. Blake got me a Pandora style bracelet which I love and have not taken off since Christmas day. also my Nan got me an Amazon gift card. What did you get for Christmas? I'd love to know. I have wanted real technique brushes for ages so happy to have got them. Books are always handy for me got a lot to get through. I'm just starting the Tea Planter's Wife - Will be checking back to see how you got on with it. I love those eye shadow collections - I go through the little 3 sets so quickly. Very jealous of your blog planner! I'm thinking of doing my bookworm posts that I use to do again. I'll let u know when I have read the book. I love real technique brushes they are perfect for contouring, sculpting. I like the blush brush especially. What lovely presents. I'm very jealous of your brushes!!! They worht getting if u are able to. I personally like these types of posts and they are not a show off just appreciation of what we got. I have those real techniques and love them. I love the lamp its to do with releaseing negative ions definitely worth reading about. The bloggers planner is amazing I know u have one so glad I got one. I love seeing what other people got. I really like that blog planner! I got a lovely scented candle with jewellery in it! I also got a lot of chocolate. I got the bloggers planner for my birthday and it is fabulous and a great tool. Only problem I have is that when I fill in the plan for the month, it changes so much due to unexpected things, new work collabs etc so I'm finding it difficult to keep in order.... I need to find a way to not do that. Great gifts! I love the eye shadow palatte, loads of colours in there to choose from. Huge fan of Giovanna Fletcher. I have dream a little dream but not read it yet. Have you read any of her other books? Ooh lots of lovely things there, you were very lucky! The kids bought me a new hairdryer which was very much appreciated, and the other half gave me money to buy slings - again, very much appreciated!